We typically don't give a moment's thought to the timing and sequence of most of life's activities and events, but time and order play a significant role in much of what we do. Further, the overlap between one series of events and another can reveal complex patterns and prompt important insights, once detected. However, most database and visual analytics tools are not equipped to reveal the meaning and context that nuanced time representations can provide. Temporal visualizations can shed new light on many areas from healthcare to cybersecurity to sports, to name a few. This webcast will include key ideas, techniques, and practical applications to represent and explore event sequences and their temporal patterns. To illustrate these ideas, a visualization tool called EventFlow will be demonstrated by researchers at the University of Maryland's Human-Computer Interaction Lab, where the tool is being developed. Hunter is a senior user experience (UX) design strategist who has over 15 years of experience consulting for a range of corporations, startups, government organizations, and NGOs. 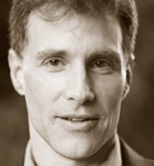 He has worked in many domains, but specializes in health, medicine and the life sciences.